THE FIRST QUESTION IN OUR MIND IS THAT WHY IS THIS PROGRMMING LANGUAGE NAMED “C”?? 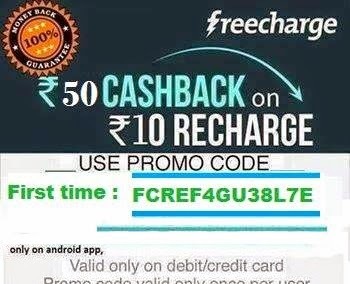 THENAME “C” LOOKS SO STRANGE TO US..!! ISN’T IT? THE ANSWER CAN BE EVALUATED FROM HISTORY. The root of all of the programming languageis “ALGOL” which gave us thestructured programming to the computer programming world..! ALGOL was the firstcomputer language which used the block architecture of program & isdiscovered in 1960s! In 1967,Martine Richards developed a language called BCPL (BASIC COMPUTER PROGRAMMING LANGUAGE). And after 3 years of iti.e. in 1970 “KEN THOMPSON” createda language using the features of BCPL called simply “B”. Just after 2 years i.e. 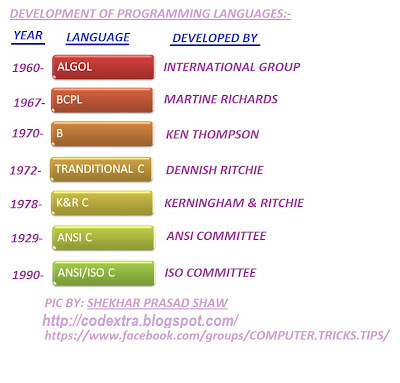 in 1970, “DENNIS RITCHIE” developed a new programming language in “AT & T’S BELL LAB” In America whichused all the concepts of ALGOL, BCPL, and B & also add some more usefulfunction to the new programming language & name it “C”, at that time it was strongly associated with UNIX operatingsystem & called “TRADITIONAL C”. After that it is updated for supporting Windows! After that in 1983, ANSIset the standard for the C language .Then it was called ANSI C.
& after that in 190, ISO set the standard for the C language. Then it was called ISO C.